Project Brief: La Parole commissioned Online Design to create a new logo and Business Card. 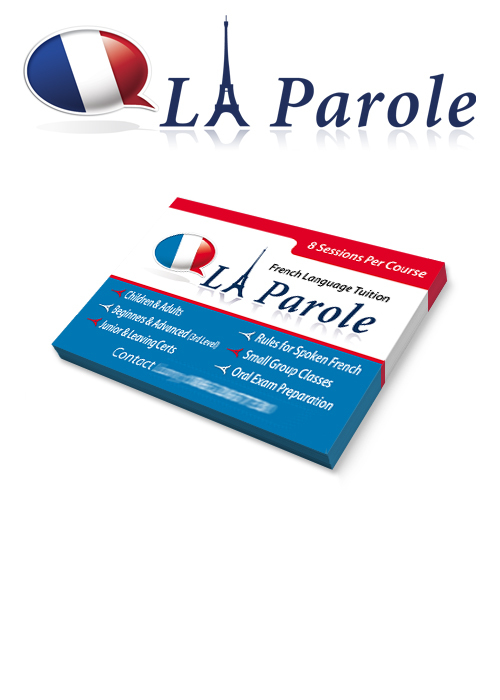 La Parole offer French Language tuition to children and adults from beginners to advanced students. The name 'LA Parole' meaning 'Speech' was already chosen by the company. Project Outcome: To convey a fun a fresh approach to learning french Online Design designed a new logo to express clearly the language being taught while also including a historical reference with the use of the Eiffel Tower landmark. We also developed the brand so that it was future proof if the company wanted to offer additional languages it would be easy to adapt the new brand.